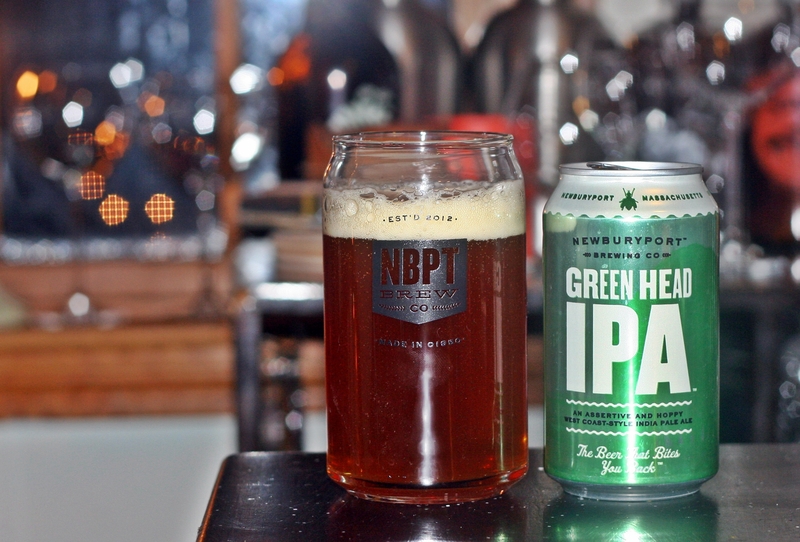 Took my first trip to Newburyport Brewing last month, grabbed a growler and a mix 6-pack of their cans. They were in the process of putting these together while I was there and like many small breweries this is a manual process. Take apart 6-packs of their three individual beers and put them back together as mixed 6-packs with two each of their beers. Remember this next time you pick up a mix 6 or 12 pack at your local beer store, a lot of manual labor probably went into creating that for you. Appearance is a bit darker than many IPAs and has a nice fluffy off white head. This leaves a significant amount of lacing on the glass making this a very appealing beer. Aroma had a nice mix of pine and floral hops with a nice sweet malt base. Taste was similar with a very nice balance of the various hops. Letting it warm slightly really brought out more flavor. Overall I really enjoyed this beer but still think their Pale Ale is the best offering. Brewers Description: An assertive and hoppy west coast-style India Pale Ale. Bright hop aromas and flavors fade to a brief, smooth malt undertone and a clean, crisp, slightly bitter finish. This beer is brewed to bite you back!